Two Donetsk People’s Republic residents were illegally captured by the Ukrainian side, another person died in Odessa detention center, DPR Human Rights Ombudswoman Darya Morozova’s office informed today, Donetsk News Agency reports. 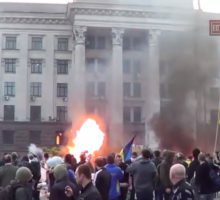 Approximately one thousand Interior Ministry National Guard troops are heading to Odessa to join 3 thousand law enforcement officers, as well as 300 “Azov” neo-Nazi regiment militants from Mariupol to “secure order” during the commemoration of the victims of May 2, 2014 massacre. 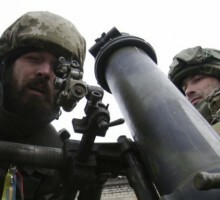 Ukrainian military opened fire on the territory of the Donetsk People’s Republic (DPR) 213 times in 24 hours, according to the DPR Defense Ministry, Donetsk News Agency informed on April 28th. During the night of April 26th-27th, Ukrainian artillery deliberately shelled “Elenovka” checkpoint. Five civilians including a pregnant woman were killed. Ten people sustained various degrees of injury. 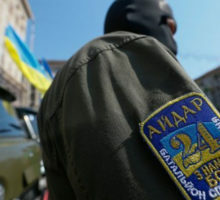 The fire was opened by the militants of Aidar Battalion* using 120mm mortars from the occupied Taramchuk township. 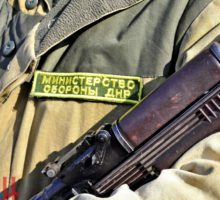 Today Ukrainian punitive forces shelled “Elenovka” checkpoint near the Donetsk People’s Republic border. Five civilians, including a pregnant woman, were killed, over 10 were injured. The civilians were waiting to cross the border in their cars, Ukrainian army opened direct fire after inspecting the area with a drone. OSCE and JCCC representatives, as well as DPR Head Aleksandr Zakharchenko and DPR Deputy Defense Minister Eduard Basurin visited the scene of the war crime. Warning: The video below is graphic and is 18+, strictly for adults. The Head of Donetsk People’s Republic Aleksandr Zakharchenko arrived to Elenovka village, which was shelled by Ukrainian forces, presumably, Aidar punitive battalion, last night. 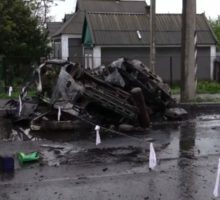 He claimed that the shelling of the village and checkpoint, in which 4 civilians, including a pregnant woman, were killed, and 8 were wounded, is a crime against humanity, Donetsk News Agency reports. 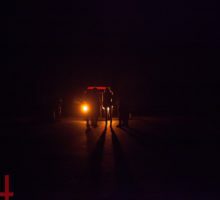 The number of civilians wounded in the shelling of “Elenovka” checkpoint (Donetsk People’s Republic) by the Ukrainian military increased to eight people, Donetsk People’s Republic (DPR) Deputy Defense Minister Eduard Basurin informed Donetsk News Agency. The events on the Maidan made me join the “Essence of Time” movement cell in Zaporozhye. The struggle against the forces, which seized power in Ukraine became a high priority in my life. Uprisings took place in Donetsk and Lugansk. As for Zaporozhye, an uprising there was unlikely. I wasn’t ready for underground struggle and didn’t believe that something could be done in my home town in the current situation. 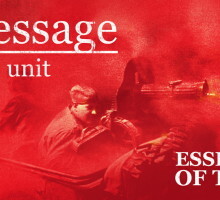 After I had met with Sergei Ervandovich Kurginyan in Rostov, and after his appeal to go to Donetsk, I decided to come and help the “Essence of Time” cell there. I understood that I wouldn’t come back to my home town any time soon. 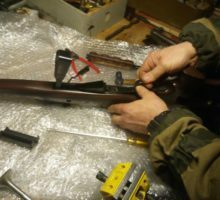 Ukrainian military continues to redeploy military equipment including that banned by Minsk Agreements to the contact line with the Donetsk People’s Republic (DPR) Armed Forces on Donetsk, Gorlovka, and Mariupol directions, “Essence of Time” unit reported on their official page in the social networks in the evening of April 25th. Thank you, city of Rzeszow, for remembering! Dziekujemy Rzesczowi za pamiec! Poland and Ukraine have long participated in the campaign aimed at destroying the Soviet monuments, including the monuments to the Red Army, which liberated the world from fascism in 1945. Citizens of one Polish city, Rzeszow, however, refused to comply. The residents and the authorities of this city did not allow the so-called “NGO Institute of National Remembrance” to tear down the Monument of Gratitude to the Red Army. Thousands of Soviet soldiers, according to Rzeszow, laid their lives for liberating the city from fascist occupants.